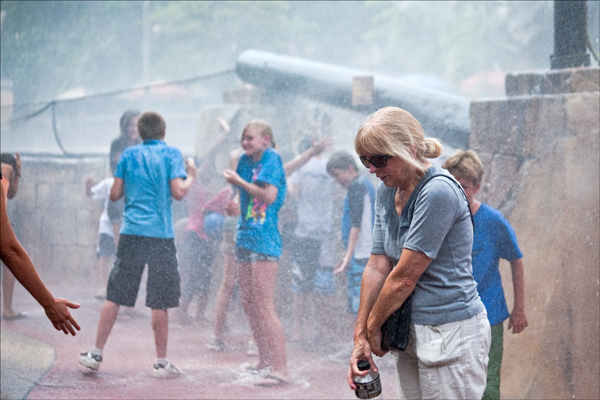 With the temperature into the mid 90's keeping cool was very evident. The latest ride in Busch gardens is the " Sheikra "which has a water splash. The ideal place to stay cool and not experience the frightful ride !! Busch Gardens, Tampa, Florida, USA.